The Samurai made sure their masks were good and scary. Which makes them awesome for putting on t-shirts. As long as you want a cool and scary T-shirt obviously! Celebrate the Japanese warrior spirit with this shirt featuring an awesome samurai helmet and mask. 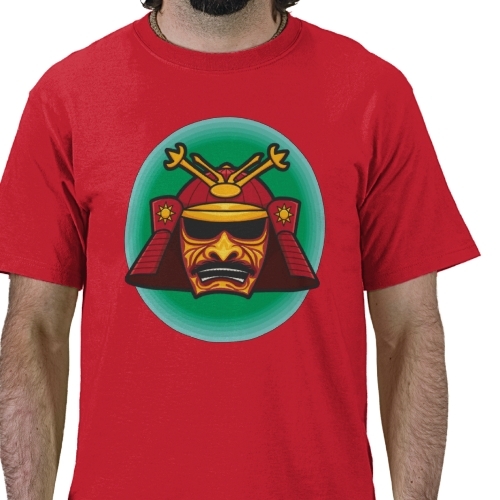 Get yourself an Scary Samurai T-shirt.